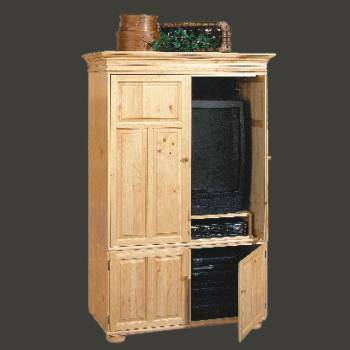 Entertainment Center: Our pine Wentworth furniture has a comfortable and very substantial look. This piece organizes your A/V components. When you're ready to watch TV, pocket doors slide back into the case, out of your viewing way. Top cabinet takes a 35 in. TV and dual VCR's. 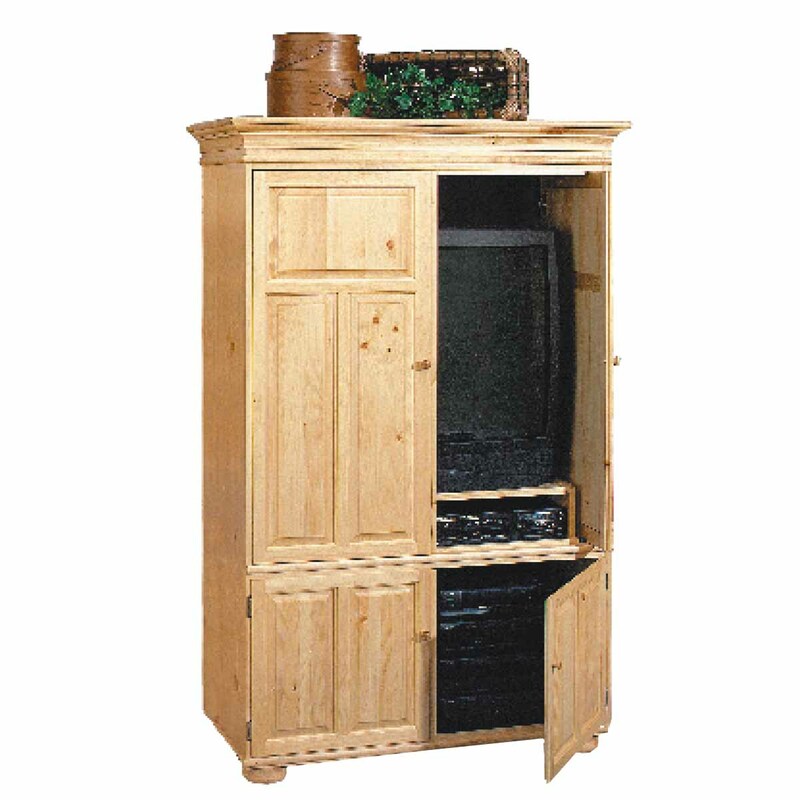 Power cabinet has two adjustable shelves. This solid pine entertainment center measures 71 1/4 in. high, 45 1/4 in. wide, and 26 in. deep. Country Pine finish.